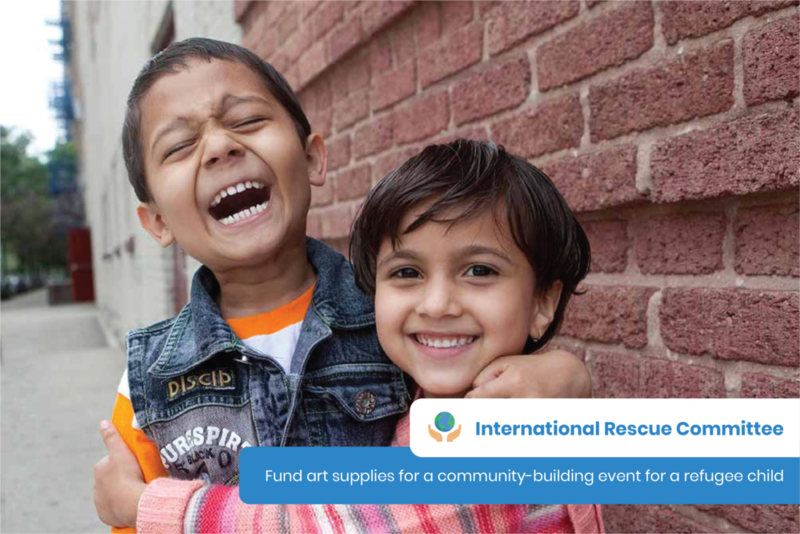 Support the causes you care about for free while buying the things you love. 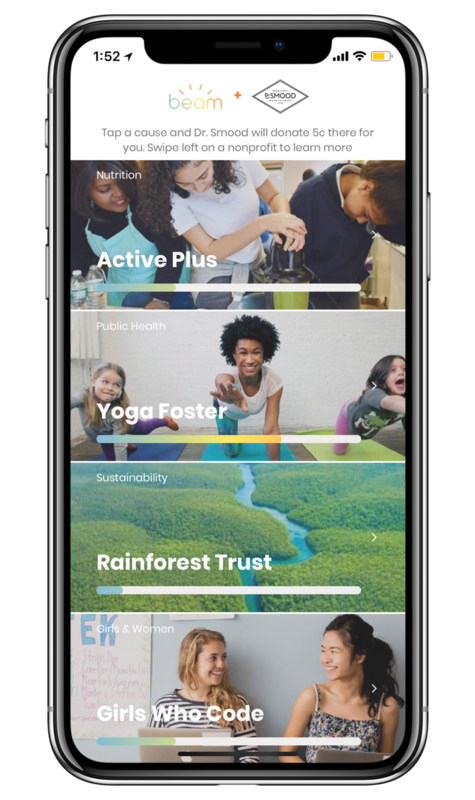 Beam is an app that lets you donate part of your everyday purchases at partnered brands to causes you believe in — at no extra cost to you. Automatically unlock donations with every purchase at partnered brands. Choose a cause, and the brand donates part of your purchase there on your behalf. Watch your impact grow towards tangible goals as you come back. 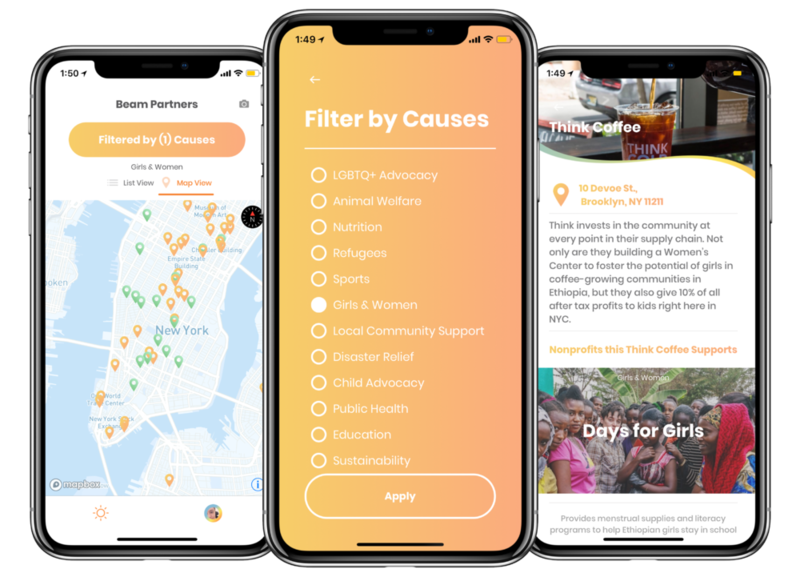 Filter for your favorite causes and find nearby, Beam-partnered brands that share your values. Link your debit/credit cards* on signup so that every time you swipe as usual at our partner brands, you get to choose where the brand donates part of your purchase — at zero extra cost to you. *Beam uses bank-level encryption. Read more. When you visit Beam partners again, you'll see your impact grow towards tangible goals — like protecting a half-acre of rainforest, or funding updates to a week of computer science curriculum for girls in STEM. See more press on our about page. ©2019 BEAM IMPACT, INC. ALL RIGHTS RESERVED.